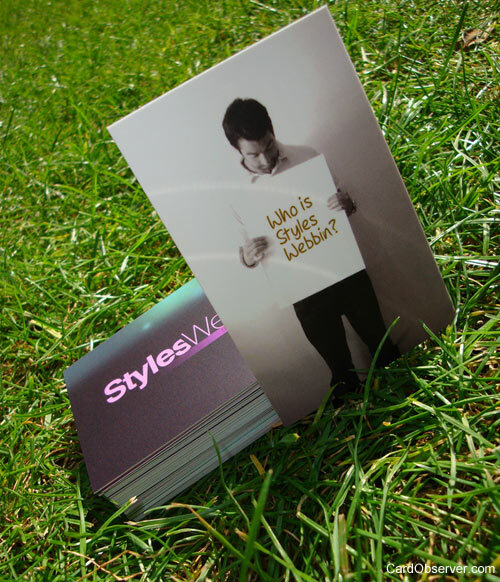 My personal business cards for my new start up company Styles Webbin, How many times do you wake up in the morning after a night out and find a business card or two in your pocket!?... Who is Styles Webbin? Picture of me on the front to jog the recipient’s memory and a prompt to go to the website to find out more.